Conditions of purchase of the puppy. 1. If you have decided to buy a puppy, and when dealing with the breeder you satisfied with the price, then you should make a full advance payment to the account of the breeder. While the puppy is not paid for the full payment, it is in the free market. 2. If the buyer have any circumstances that do not allow him to take a puppy in the stipulated time, he shall notify in advance the breeder and agree with them all the possible changes. A puppy can stay temporarily overexposure breeder. The cost of overexposure EUR 5 per day. 3. If, after a specified period of time a potential owner is not willing to take a puppy, the breeder is entitled to consider this puppy free of encumbrances. 4. In case of cancellation of the transaction by the owner of the future, he returned 50% of the puppy, the remaining amount is compensation for the risk of a commercial breeder. 5. In the event of failure of the deal breeder money is returned in full. 6. The puppy may be submitted (sent) to the buyer in age from 4 months. By this time it is processed by helminths, vaccinated by age, it has a microchip, veterinary certificate and metric puppy (RKF). If your desire to be discharged pedigree puppy. It is paid separately and not included in the puppy, if it is not agreed with the breeder. 7. A puppy at the time the future owner is completely healthy. And the responsibility for the health and physical condition of a puppy from a breeder goes to the owner immediately after the transfer of the puppy carrier. 8. The cost of shipping a puppy is paid personally to the carrier immediately after delivery for permanent residence. 9. Breeder warrants puppy genetic diseases as much as he can know about it. 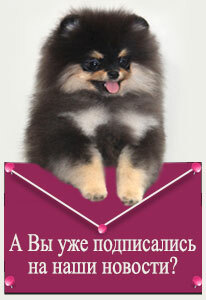 For hidden defects, which can not be determined at inspection puppy, the breeder is not responsible. 10. Breeder ensures compliance of its breed an animal, but does not guarantee the quality of the puppy as an adult, does not give a guarantee to the teeth and bite after the change of milk teeth, belonging to the growth, as well as the ability to reproduce and show career. 100% guarantee for the growth of teeth and the class puppy possible to guarantee only from the age of 7-8 months.